I’m pretty sure this is how I’m going to get a husband. I’ll serve it up to that special someone. He’ll take a bite and propose to me right then and there. Simple as that. Okay, so it probably won’t happen that way, but I can almost guarantee that if you were to feed this to a fella (or lady! Gentlemen, don’t be scared to get in the kitchen!) it would most certainly, at the very least, land you a date. 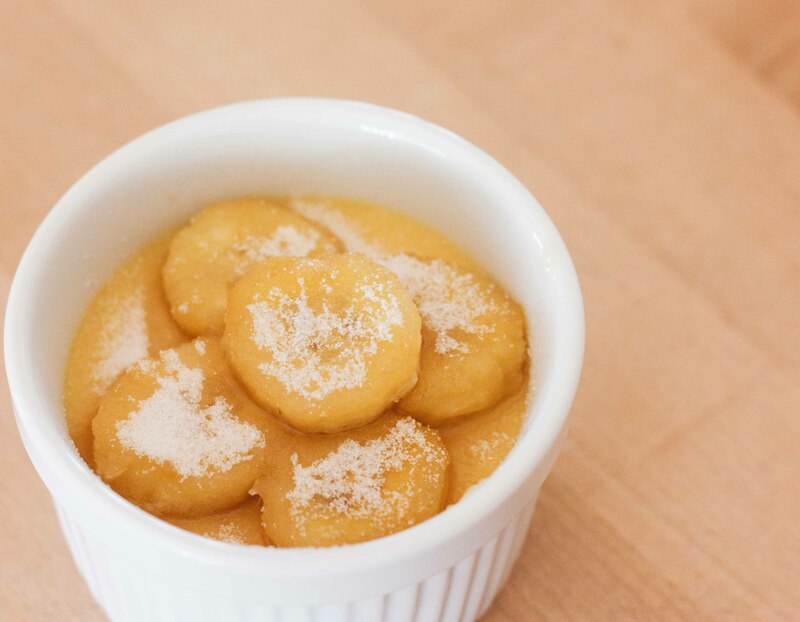 In a skillet, melt together the butter and brown sugar. 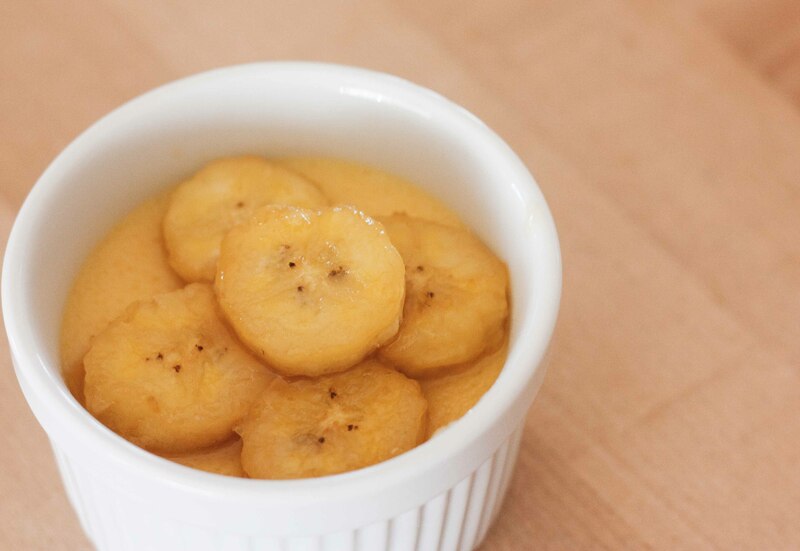 Add bananas and turn the heat up to high. Add the hazelnut liqueur. 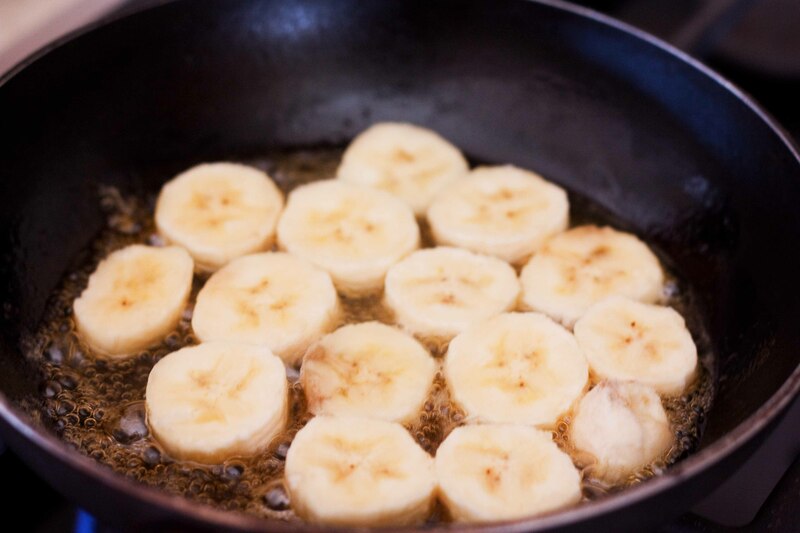 Shake the pan a little bit then flip each banana. Once the liqueur has reduced (and nearly completely evaporated), turn off the heat. Sprinkle with a teaspoon or so of white sugar. 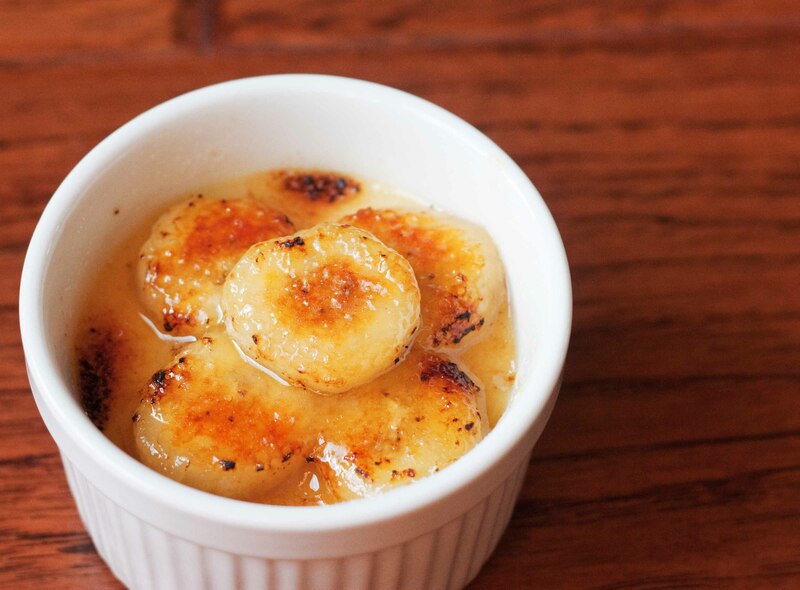 Using a kitchen torch, burn the top of the bananas so you get a good caramelized crust. Serve and wait for a dinner invite/proposal/confession of adoration/etc. If this doesn’t work… then I’m pretty sure men are crazy, and I’m doomed to be an old maid. 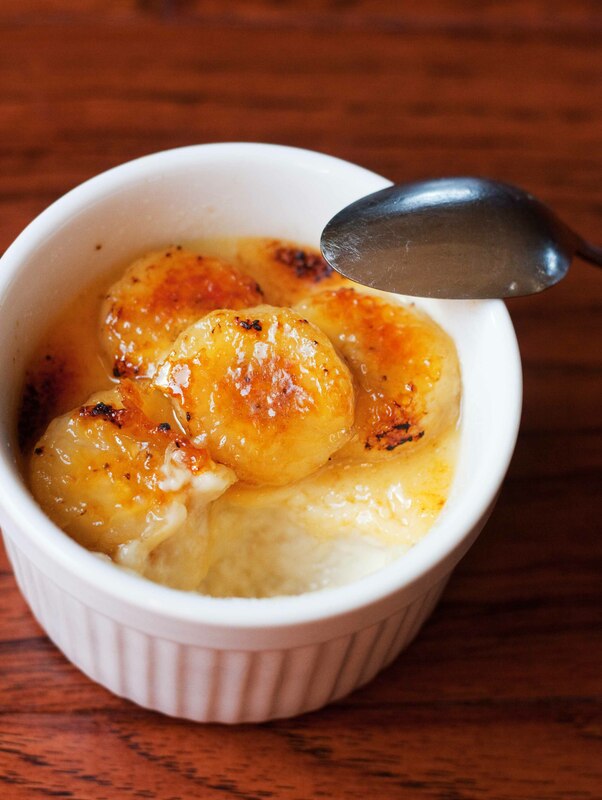 I used to work at a restaurant and our signature dish was bananas foster prepared tableside – although I used to use a banana liquor and we served it over brandy icecream. 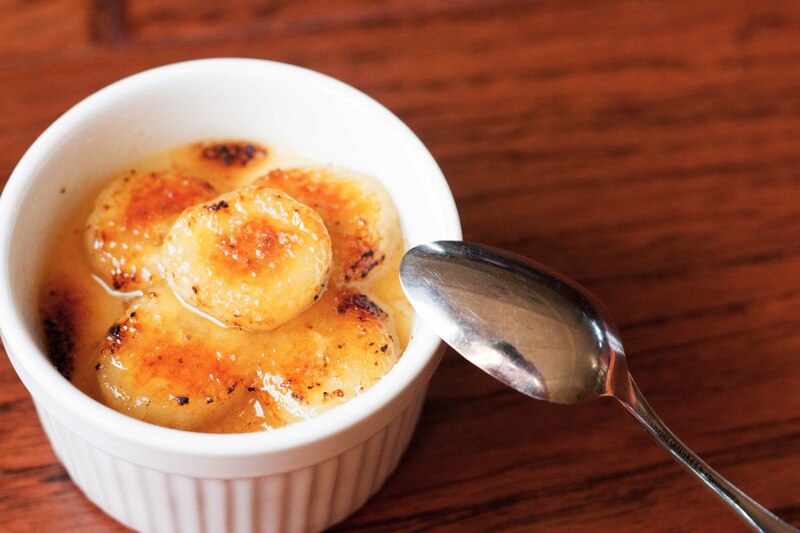 Ahh coconut creme brulee!! Brilliant idea! I hope it’s amazing! Let me know how it turns out!